Use this eyeReport to verify insurance coverages prior to patient appointments. 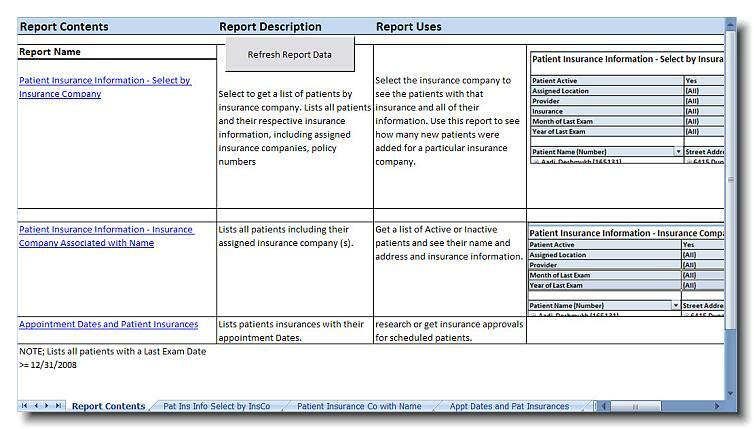 This report also lists all patients and their insurance information, get the information by a specific insurance company or just have a list of the patients. Filter by Month of Last Exam and Year of Last Exam. You can also see inactive patients. For more information on how this eyeReport can help you know all about your patient insurance, watch our 4 1/2 minute video!